The main feature of this website, apart from the fact that it is multilingual in English and German, is the FSnD product module. This module was already used for the website of Eisenblätter and the Anja Beran Boutique, albeit in older versions. Of course the website was developed in Typo3. 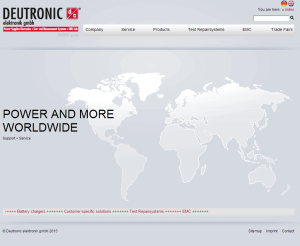 It will be one of the last websites using the LTS Version 4.5. We are all waiting for the LTS Version 6.2 of Typo3 to be ready. 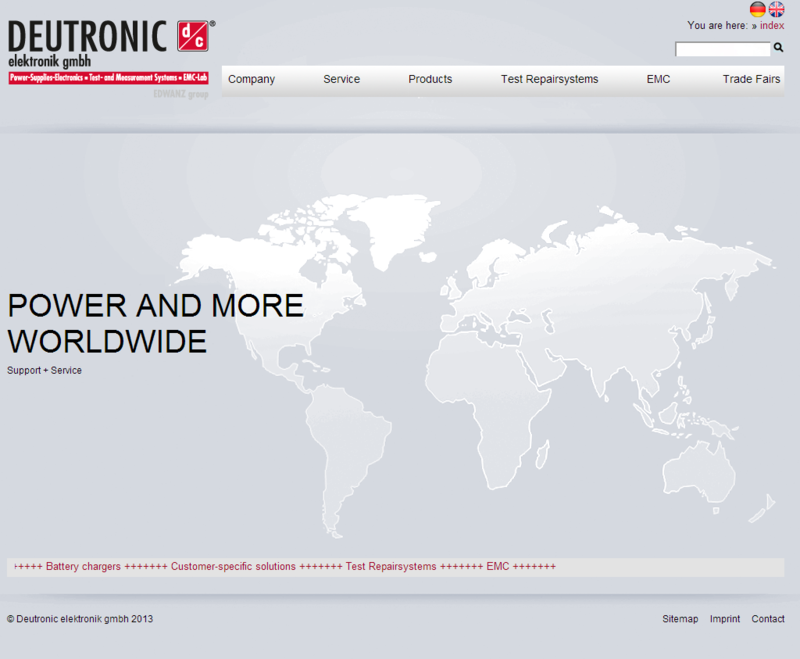 The new product module displays the various power units by Deutronic in a modern design with listing and detail view, grouped by product categories and sub-categories. The module is database driven and enables the export and import of product data via CSV files.